Fossils, the remains of prehistoric organisms or other evidence of prehistoric life, tell you a great deal about what the world was like millions or even billions of years ago. Five different types of fossils are body fossils, molds and casts, petrification fossils, footprints and trackways, and coprolites. 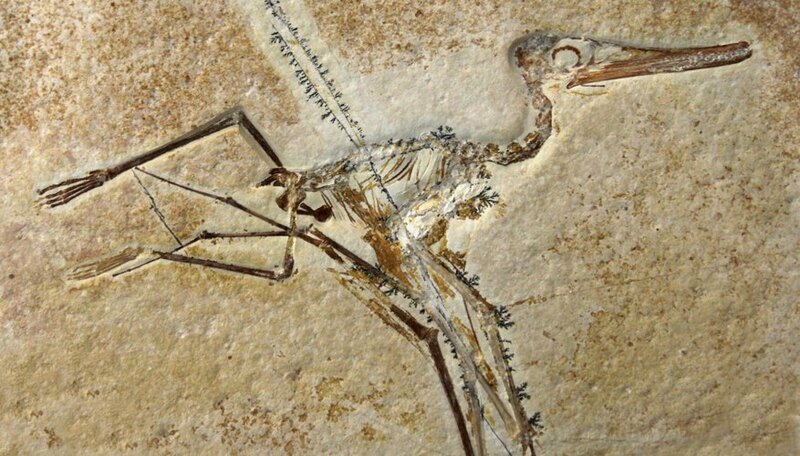 In 2017, researchers confirmed that the oldest fossils, which were found in a rock in Western Australia, prove life existed on Earth over 3.5 billion years ago. Whole body fossils are the entire remains of prehistoric organisms including soft tissue, such as insects embalmed in tree sap that hardens to create amber. Typically, soft tissue like skin, muscle and organs disintegrate after death, leaving only the hard shell or bone skeleton behind. Animals with weak skeletons, like insects and shrimps, are less likely to be preserved. Two examples of body fossils – bones and teeth – are the most common types of fossils. Molds and casts are other types of body fossils. A mold is an imprint left by the shell of a hard skeleton on surrounding rock, such as dinosaur bones buried beneath many layers of sediment. A mold may be internal or external. An internal mold is on the underside of shell left on the surface of rock that formed when sand or mud filled the inside of the shell. An external mold is on the outside of the shell. Whenever a shell or bone breaks out of rock, it leaves an external mold behind. Replicas of molds are known as casts, which may be produced naturally when the space left behind after mold removal fills with sediment. Paleontologists can also produce casts from molds with latex rubber or modeling clay to learn more about fossils. When groundwater saturates a plant or animal's remains after it dies, sometimes the organism's materials dissolve, and minerals such as calcite, iron and silica replace them. The fossils form in the original shape of the organism, but the composition is different, and it is heavier. This process is known as permineralization. Petrification fossils form when the organic matter is entirely replaced by minerals and turns to stone. The original tissue is replicated in every detail. Petrified wood is an example of petrification. Footprints, trackways, trails and burrows through mud sometimes harden and become fossils known as trace fossils. These give information about how animals behaved when they were alive, such as how they moved and how and where they fed. Trackways, which are several footprints together, sometimes include impressions made by another part of the creature, such as its tail dragging behind it. Coprolites (fossilized feces, also known as dung-stone) give clues to where certain animals lived and what they ate. Coprolites are rare because feces usually decay quickly. The most common coprolites are of sea organisms, particularly fish and reptiles. They consist of indigestible remains of the organism's food, such as pieces of scale, teeth, shell and bone. Coprolites are preserved by petrification or cast and mold. American Museum of Natural History: What Is a Fossil? Gillespie, Claire. "Five Different Types of Fossils." 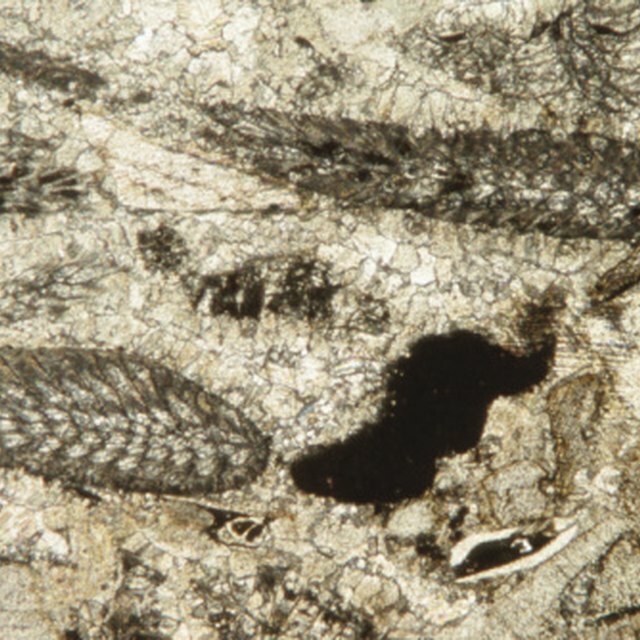 Sciencing, https://sciencing.com/five-different-types-fossils-7152282.html. 10 April 2018.